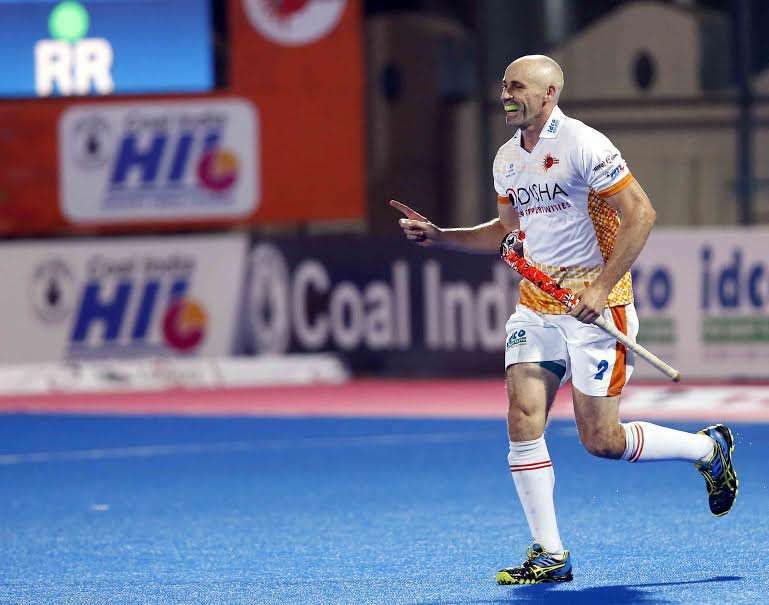 Australian Glenn Turner struck twice for hosts Kalinga Lancers to hand his side a splendid 4-2 victory that enthralled the home crowd who turned up in great numbers at the Kalinga Stadium for the fifth edition of the Coal India Hockey India League on Monday. Played in front of a vocal and partisan home crowd there was no doubt that this top of the table clash was going to be played with pace and skill and the teams did not disappoint. They both raced out of the blocks at a frenetic pace, attacking each other constantly, almost without a break from hooter to hooter. 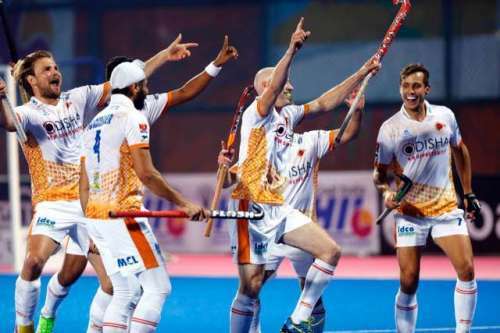 It was Kalinga Lancers’ young custodian Abhinav Kumar Pandey, who had a busier first quarter in the goal, his saves keeping his team from dropping behind too early in the game. He padded away Christopher Ruhr’s drag flick in the 7th minute of the game, a superb effort to keep his team in the game. They won another PC almost immediately for dangerous play in the striking circle but it was saved by the defender on the line. Pandey’s phenomenal show continued in the second quarter when he dived towards his right to stop a ball fiercely struck by Ranchi Rays’ drag flicker Ashley Jackson in the 23rd minute. Though Jackson asked for a video referral for dangerous play within the striking circle, as the ball deflected off Pandey’s stick, the umpire upheld his appeal but Jackson failed to convert yet again. Later, Kalinga Lancers earned as many as five penalty corners but failed to convert a single goal as both teams went into the first half at a stalemate. Starting the third quarter at 0-0, the hosts were quick to earn a PC in the 31st minute of play but Captain Moritz Fuerste could not convert this opportunity. 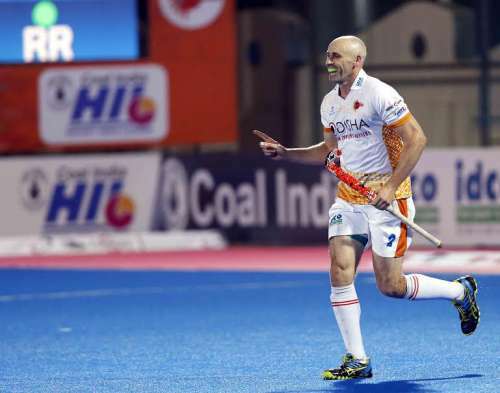 While the pattern continued into this quarter, with both teams constantly rushing at each other, looking for an opening, it was interesting to see how Kalinga Lancers’ top scorer from last season Glenn Turner was constantly marked by at least three Ranchi Rays’ men at any given time, who refused to let the speeding Aussie forward penetrate their circle. But the lanky Aussie was relentless when he attempted a penetration in the 43rd minute as he earned his team a penalty stroke, thanks to a sloppy tackle by a Ranchi Rays defender. Turner made no mistake in taking the stroke as he fiercely put one past Tyler Lovell to give Lancers a much-needed 2-0 lead. Turner struck again for Kalinga Lancers in the 49th minute when he converted a remarkable field goal that came off a rebound. It wasn’t the end of the action though as Ranchi Rays made a late comeback in the 53rd minute when Sarvanjit Singh scored a field goal to make the score 4-2 but it was not enough to stop the match ending in Kalinga Lancers' favour. 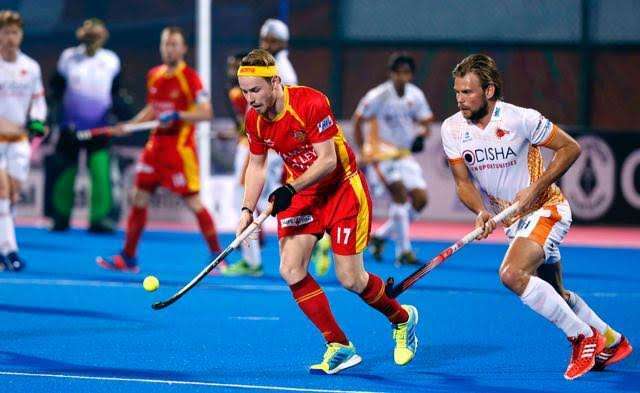 Lancers' Glenn Turner was awarded a prize money of Rs 50,000 for scoring the Coal India Goal of the Match from Mr Ashok Meena (IAS), Special Secretary, General Administration Department, Government of Odisha. Kalinga Lancers' goalkeeper Abhinav Kumar Pandey won a prize of Rs 25,000 for being the Hero Young Achiever of the Match from Olympian Dr A.B Subbaiah. The Most Entertaining Player of the Match was awarded to Christopher Ruhr of Ranchi Rays that came with a prize money of Rs 25,000 by Shri Madhu Sudan Padhi (IAS), Principal Secretary, Rural Development Department, Government of Odisha. Glenn Turner of Kalinga Lancers was declared the Man of the Match and was awarded a prize money of Rs 50,000 by Shri K B Singh (IPS), Director General of Police, Government of Odisha. On 24 January 2017, Dabang Mumbai will meet Uttar Pradesh Wizards at the Mahindra Hockey Stadium in Mumbai at 19:00 hrs.